Ready to Start Your Entrepreneurial, Wealth-Building Journey? Like anything else that you build, your wealth and financial goals require using the proper tools. What’s more, you need to be able to use these tools well: it doesn’t matter if you know your stuff, if you don’t use it well, you’re not going to get anywhere. Whether you’re looking to expand your business, sell it, invest, or even if you’re just getting started on your entrepreneurial, wealth-building journey and don’t know where to begin, there’s a lot to learn. Here to help is financial powerhouse Loral Langemeier with the Head of the Table private coaching program. 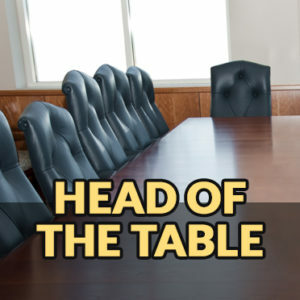 Through Head of the Table, you’ll dramatically increase your wealth. What’s key is the conversation. By putting you in touch with people who have accomplished the very thing you want to do and act as your expert mentors, you’ll learn real money-making secrets that actually work. To build wealth, you need to look beyond what you’re depositing and withdrawing. You need a plan that will help you not just save money, but build it over time. The right team can help you do exactly that. You only stand to gain from this elite coaching program. Sign up today and become the educated, successful leader you know you can be. Call 888-565-1206 Ext 120 to learn more.